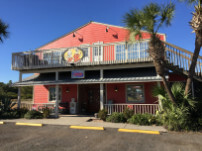 Over 25 years experience combined with Texas style BBQ, fresh Florida seafood, and a menu designed to please everyone in the family, The Beach Pit has brought a fresh taste to St. George Island, Florida. 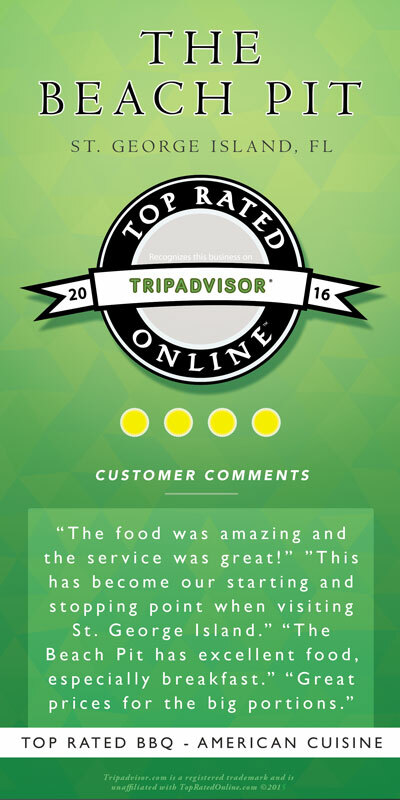 The dining ambiance is pleasantly casual and intimate, with seating available in a charming interior setting or enjoy outdoor seating in our “pet friendly” screened in patio. Drop in and try one of our 11 draft beers we have on tap! Served with your choice of one side. $3 more for baked potato. Fresh Grouper on a toasted bun. $1 more for grilled or blackened. Takeout orders only. Please note that prices are per pound and may vary due to market changes.